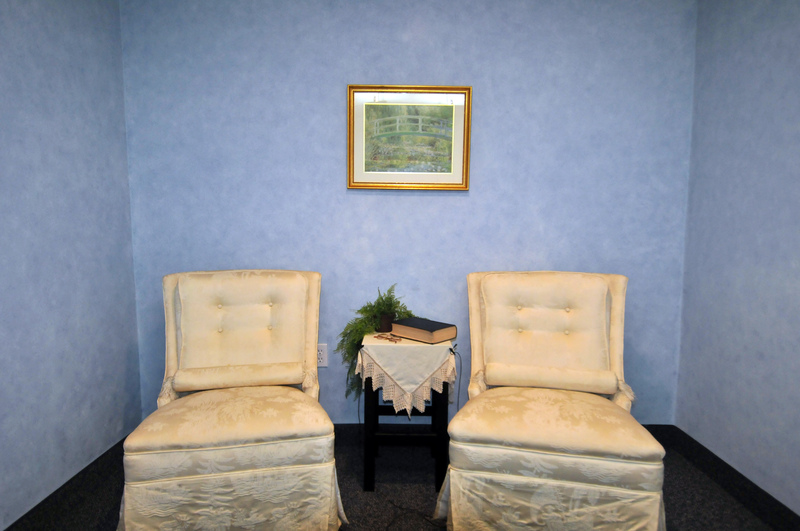 The purpose of the Oral History Room is to help patrons successfully record their memories in a relaxed, private manner. Patrons will leave with a DVD of the recorded interview. 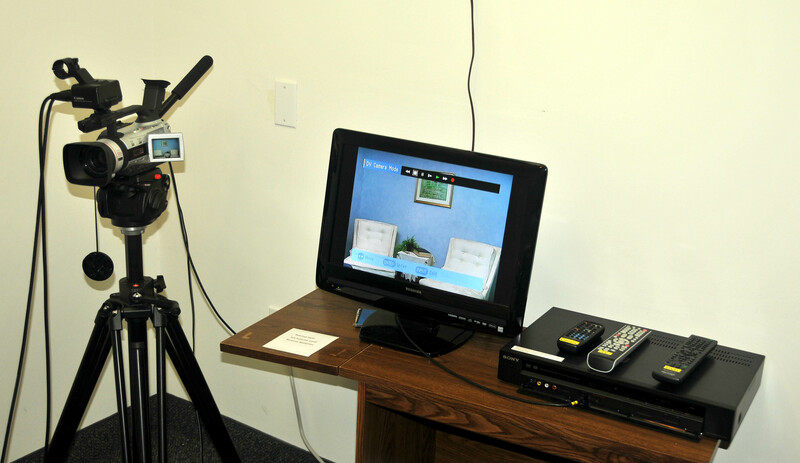 The Oral History Room is equipped with professional audio and video equipment which will produce an excellent quality video that can be shared in its entirety or in sections. 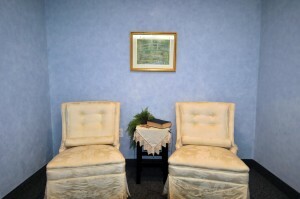 It is furnished and lighted to provide comfort for two individuals. Patrons are shown how to stop, pause and restart recording as the interview progresses. 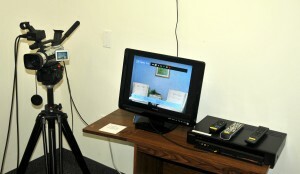 Staff intervention is limited to initial set-up and finalizing the recording. Keep it simple. Nothing should distract from what you are saying. Wear clothing of medium shades; avoid white and red. Avoid high contrast clothing such as checks, stripes, plaids, dots, patterns or florals. Do not wear shiny jewelry that may reflect in the lights. Do not wear hats; they cause shadows on the face. Use makeup to enhance the face and prevent it from looking flat or washed out. Use translucent powder to reduce skin shine under lights. This document lists questions which you may consider asking your subject as you prepare for the interview. Click here to download the pdf file. There is a $10.00 fee for the flash drive or SD card. There are no other costs to use the room or recording equipment. For further information or to schedule the room, call the FHC at 301-587-0042, or email: info@wdcfhc.org. We suggest contacting us at least a week in advance.